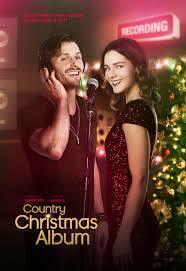 Country Christmas Album is the latest ION holiday movie to debut on December 15 at 9 PM. After country music starlet Tess Stapleton’s (Hannah Barefoot) album sales keep dropping, her label forces her to record a Christmas album with ex-teen heartthrob and pop-star, Derek Copeland (Evan Gamble), in an attempt to resurrect each’s career. Reluctantly, Tess agrees. At first, they appear to be polar opposites; clashing over song styles and irritated that they were forced together. However, to their combined surprise, as the album shapes up, they find themselves growing closer over their shared love of music. As they finish the album sparks begin to fly and love blooms just in time for Christmas. Here is a trailer for Country Christmas Album.